A petition is calling on the Scottish Parliament to take action to protect Countryside Ranger Services. The loss or reduction of grant aid support, together with cuts in public expenditure over the last ten years, has led to fewer Ranger posts and affected cooperation and partnership working between Ranger Services. The number of permanent posts has fallen and there is a significant decline in the number of Seasonal Ranger posts, which as well as helping over times of peak demand in the summer months, also act as a vital training ground towards permanent posts. A few local authorities no longer have a Ranger Service and almost all have a substantially reduced service. The Scottish Countryside Rangers Association (SCRA) is concerned that the cutbacks in public sector expenditure, loss of knowledgeable and experienced managers who recognised the benefits of a strong network, and the pressures on the remaining Rangers is putting at risk this national network built over 50 years. The organisation argues that there are implications for government policies in health, recreational access, biodiversity and visitor experience. As the professional body representing Rangers, SCRA is also concerned about the impact that these pressures are having on the health and wellbeing of its members. Rangers work mostly outdoors and are the interface between landowners or managers and the visiting public. 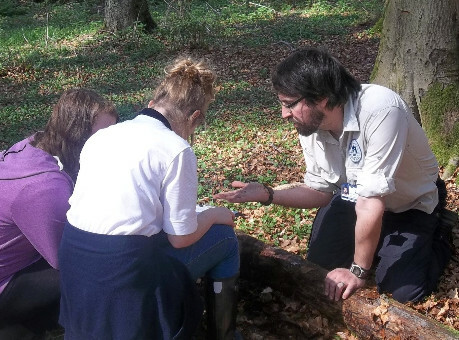 They welcome visitors, provide interpretation, observe and report on maintenance needs and, in many services, lead school groups on outdoor learning experiences and/or train teachers to do this compulsory part of the Curriculum for Excellence. Rangers also monitor wildlife, particularly nationally and locally important habitats and species, and identify threats from wildlife crime and alien invasive species, to meet obligations of the Scottish Biodiversity Strategy. Increasingly their role in providing opportunities for people to enjoy the countryside and coast is being recognised for its benefits to the health and well-being of many people, helping to reduce the burden on NHS Scotland and to meet the Scottish Government�s targets for a Healthier Scotland. Scotland�s Countryside Rangers are employed by over 60 different employers including the Loch Lomond and the Trossachs National Park Authority, Forestry Commission Scotland, Historic Environment Scotland, local authorities, national NGOs (eg the National Trust for Scotland, Scottish Wildlife Trust, John Muir Trust), private land owners (e.g. Rothiemurchus Estate), and community groups (e.g., Tiree, Knoydart). Before 2008 most Ranger Service programmes were supported by grant aid from SNH and its predecessor, the Countryside Commission for Scotland. From 2009 the Scottish Government transferred funding for core functions directly to local authorities for them to allocate. SNH continues to give substantial grant support, together with advice, to voluntary and private sector Ranger Services, as does the Cairngorms National Park Authority for those Services operating within the Park. The petition asks the Scottish Parliament to urge the Scottish Government to implement the strategic framework for the network of Countryside Ranger Services set out in the document Rangers in Scotland (SNH 2008). The petition closes on 18 December.